第一項優惠專案是提供購買 "Windows 8 " 版本的使用者可以透過 NT$2,199的價格升級到Windows 8 Professional版本. 優惠自 2012 年 10 月 26 日起生效，至 2013 年 1 月 31 日截止，而且每個客戶憑單件促銷僅能享有 5 份授權. 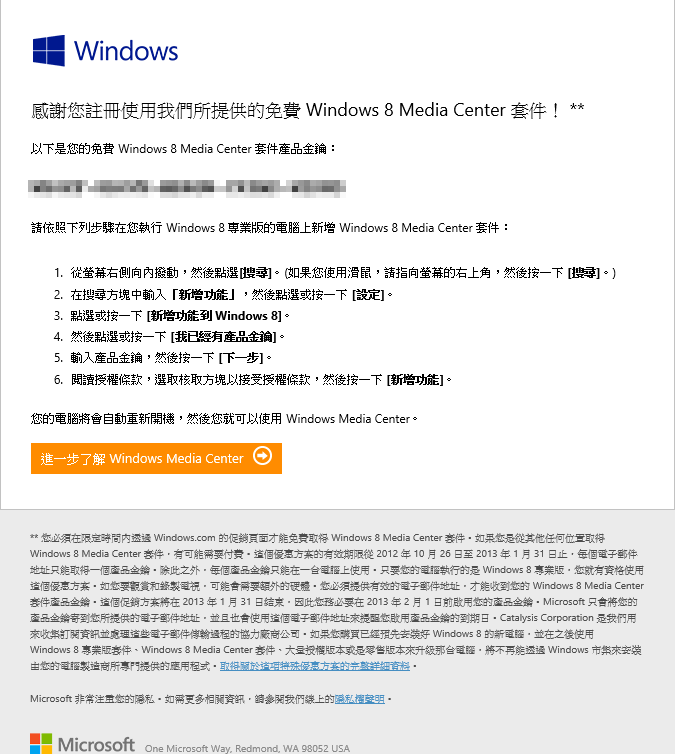 第二項優惠是提供購買 Windows 8 Professional 版的使用者可以免費的取得 Windows Media Center 的功能套件. 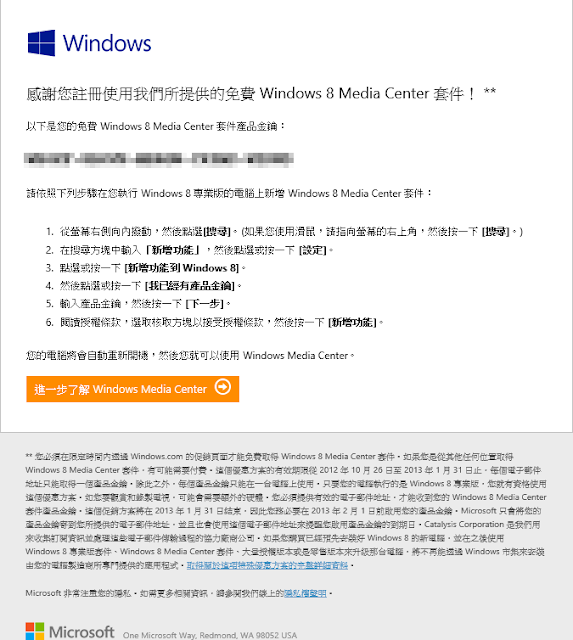 Windows Media Center 可以搭配電視卡或電視棒進行節目錄影的功能.